Take one last pre-season look at a big chunk of the starting lineup tonight, as the Reds play the D-Backs at 9:40 p.m. ET at Chase Field. The game is one of the “Free Games of the Day” on MLB.com. The batting order is your Opening Day lineup except that Devin Mesoraco is catching Bronson Arroyo. The veteran starting pitcher was last seen leaving the mound after being struck by a ball on his pitching hand. Luckily it hit fingers that he “doesn’t use much anyhow” (Arroyo really said that). Both Justin Verlander and Buster Posey signed mega-extensions today, like the one that JoeyMVP signed with the Reds. Dave Cameron at FanGraphs has a long column where he explains how to think about these deals. It’s what I described asÃ‚Â Real Moneyball – with the influx of revenues into baseball, long-term blockbuster deals were going to become commonplace and affordable. Signing home-grown players well before they reach free agency — Vottonomics — which was the case with both Verlander and Posey, gives teams a fighting chance to compete with the big money stack clubs (although the Tigers and Giants are not small-budget by any means). I’m curious if any of the RN editors have had similar interactions with the Reds organization. Brisbee is a great writer, and as far as I can tell a pretty big deal (Baseball Nation branded themselves on his and Rob Neyer’s name… not bad company). I’m a bit surprised that he could get a press pass. Trainer is looking at Chapman’s hand after he finished, hopefully it is nothing. I wish the Reds divulged the rights to show games on MLB.tv. Some of us don’t need cable and live within the black-out area. 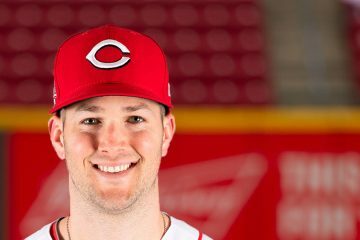 @Kyle Collins: Kyle you can try having a friend or relative from out of town sign up for MLB.com. That way you are not blacked out of games. I don’t know if any issues would come up but people do travel around the country for work and still use their MLB.com account. Oh yeah make sure they give you the sign in and password. The annoiuncement for the final roster decisions is scheduled for today. I think the decisions have been made. I thought the pitching rotation in the AZ game was particularly telling. Maybe I’m reading more into it than is there, but I would think Dusty would want a fully rested and ready bullpen for opening day. With the poor weather conditions anticipated, I certainly wouldn’t want to over-extend with the starters and the 4 relievers appearing in yesterday’s game with AZ will be integral to the bullpen this season. Simon still needs some work and needs to get stretched out (Thank-you very much WBC). Price & Jenkins will take care of that situation but Simon is ready to go when called from the bullpen. That’s one scary good bullpen, assuming WJ & Dusty don’t pull a bonehead move and add Ondru or Parra to the 25 man roster. We’re down to it. The final split squad games are scheduled for this afternoon. This has been an eventful and productive spring training. I saw a lot of focused players taking care of business. The controversial decisions were exacerbated by the media and fans, but the team stayed focused on the task at hand. I think the players competing for roster spots left everything they had on the field. I think Arredondo should make the 25 man roster easily, then the decision comes down to Parra, Ondrusek & Simon. Ondrusek has an option available, so he goes to the Bats roster. Parra is LH and Dusty likes his LHP in the bullpen. Simon is the long man in the bullpen and his performance has been penalized by his participation in the WBC. 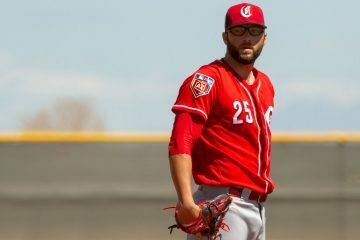 The most fascinating competition during spring training, at least from my perspective, has been the utility IF competition, the proverbial 25th man. Hanahan is a LH hitter with excellent defensive skills at 3B and the best of the marginal hitters competing for one of the two utility IF positions. He’s on a 2 year, $4MM guaranteed contract amd is a lock to make the 25 man roster. I think Burriss has fallen short in the competition and is the odd man out, leaving the decision between Izturis and Donald. Donald is on the 40 man roster and can’t be designated for assignment without some risk of losing him. He is also entering his prime production seasons as a 29 year old player. Izturis is on a minor league contract and can be designated for assignment without losing him. He is also the better defensive player, but is in his declining seasons as a 33 year old player. I think this competition is a complete toss up for the 25th man. BTW, did everyone see the PH, RBI smash to RF last night by Henry Rodriguez? The kid has defensive issues and has already been designated for assignment, but the kid can hit. Two more days to Opening Day in Cincinnati. Play Ball!!! Look for the Old Cossack in the stands with his 6 year old daughter, skipping school and attending her first opening day. She is so excited that I hope she doesn’t pop before we can get to the game. Was just down at the ball park shopping at the newly renovated Team Shop. Super exciting being around the field. Can’t wait until Monday.